You so love our Skulls, so we thought it was time to offer you something a little different! Meet our hand-gilded Skulls - available in either GOLD or SILVER. 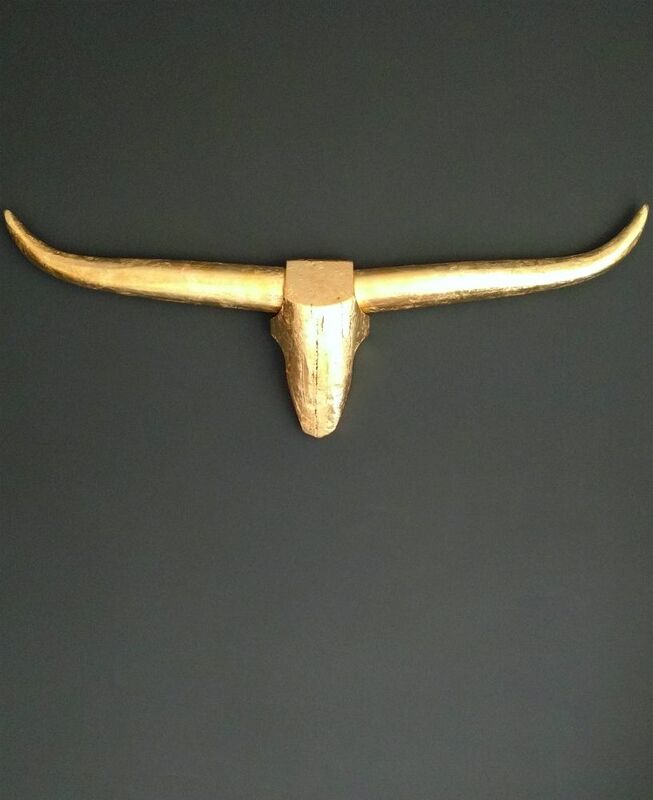 Your wall-hanging Cattle Skull will be carved and then fully gilded in your choice of decadent metallic Leaf. An easy way to add a touch of luxe to your decor. 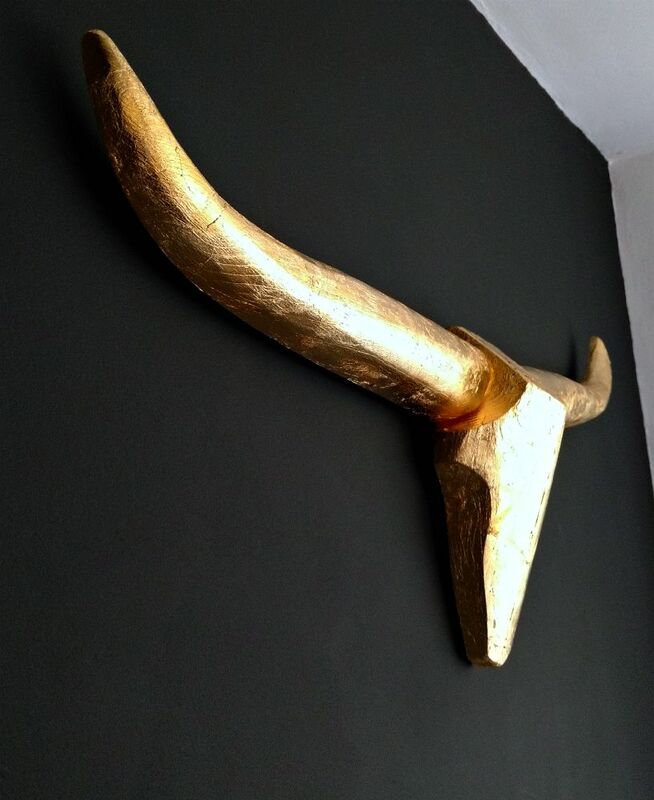 Perfect for deeply dark interiors, man-caves, hallways, bedrooms, above your fireplace...where would you hang yours? Choose your style of Skull (either No.1, No.2 or No.4) and preferred finish* (Gold Leaf or Silver Leaf) from the drop-down menu and we'll do the rest! This Skull will require simple assembly. *Please note that the gilding is likely to have a slightly 'distressed' appearance, as seen in our product images. Splits and fissures that occur in the wood during the drying processes will remain apparent (this isn't a fault) and there may be small areas of wood visible through the Leaf.